Human regulatory T cells (Tregs) play an important role in suppressing antitumor immune responses. Melanoma-derived factors may convert dendritic cells into tolerance-inducing, antigen-presenting cells. 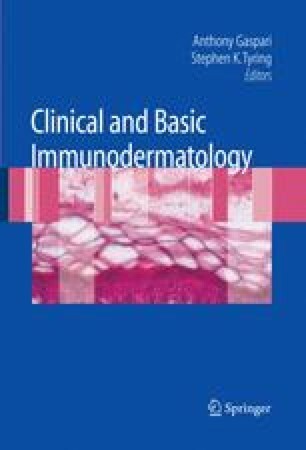 Adhesion molecules such as integrins, cadherins, and intercellular adhesion molecule 1 (ICAM-1) have been implicated in progression of melanoma. Melanoma cells produce a variety of cytokines that allow tumor progression. Surgery, chemotherapy, and immunotherapy (e.g., interferon-α and interleukin-2) are used in the treatment of melanoma. A variety of vaccines are being studied for therapy of melanoma.